Sandra won the title of Soul Survivor, along with one million dollars. Parvati came in a close second, losing by one vote. Russel won the last immunity idol, but, it wasn’t enough to win the game. He didn’t receive any of the votes from the jury, but, he did win one hundred thousand dollars for being Sprint’s Player of the Season. This was the second season in a row that Russel won the title. In my opinion, this was an upset. Parvati should have won. She played the best game from the beginning to the end. Russel had a good shot, but, he was too arrogant to win any votes. Sandra played a good game, but, I don’t believe it was as good as Parvati or Russel’s. 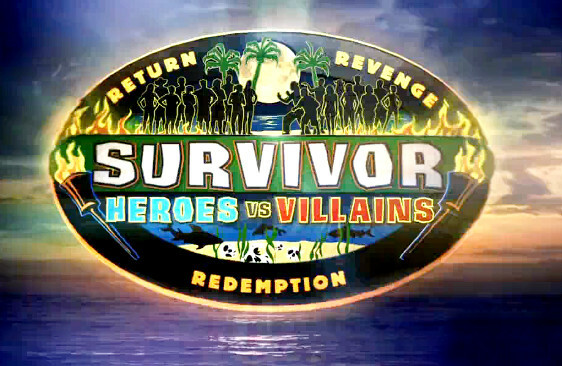 Russell made a bold move on last nights episode of Survivor: Heroes VS Villains. This was one of the best moves I’ve seen in this game, and I’ve been watching Survivor for a long time. Betsy, 48, police officer from Campton, N.H.
Mike, 62, private chef from Marina del Rey, Calif.
Marisa, 26, student from Cincinnati. Erik, 28, bartender from Ontario, Calif.
Brett, 23, T-shirt designer from Salem, Ore.
Yasmin, 33, hairstylist from Detroit. Russell, 36, oil company owner from Dayton, Texas. Elizabeth, 33, urban planner from New York. Laura, 39, office manager from Salem, Ore.
Kelly, 25, hairstylist from Wilmington, Del. Russell S, 42, attorney from Glenside, Pa.
Ashley, 22, spa sales from Maple Grove, Minn.
Shannon, 42, sales rep from Renton, Wash.
Natalie, 26, pharmaceutical sales from Van Buren, Ark.